Hollis Dunlap was born in 1977 in Northern Vermont in the USA, and has been painting since the age of 14. National Arts Club student exhibition for two consecutive years. Hollis was the recipient of the John Stobart Fellowship, awarded each year to a graduating student in recognition of outstanding work, and he is also a 2 time grantee of the Elizabeth Greenshields Foundation. 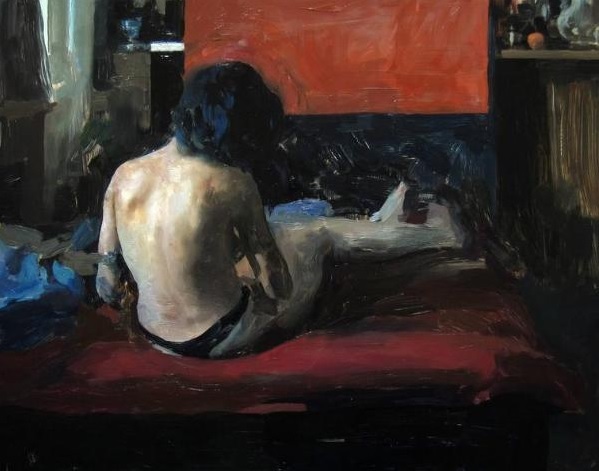 In the winter of 2001, Hollis studied at the National College of Art and Design in Dublin, with a focus of painting the figure in the interior space. Since then he has had numerous solo shows in New York, Boston, San Francisco, and Miami, and currently paints and teaches painting in Southeastern CT.